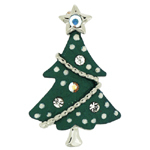 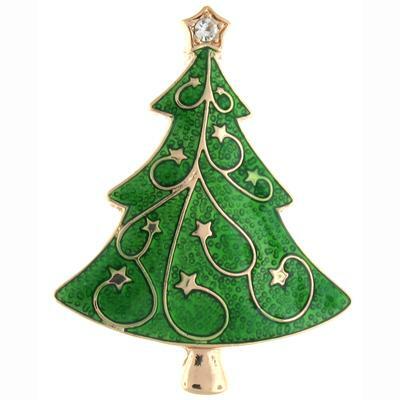 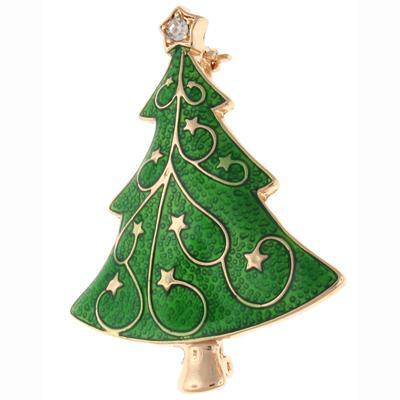 Large green enamel Christmas tree brooch with a Swarovski crystal for a star on the top on a gold plated frame and fastens with a flag pin and revolver clasp. 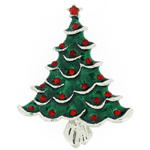 Size: 4 x 5.2 cms. 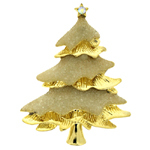 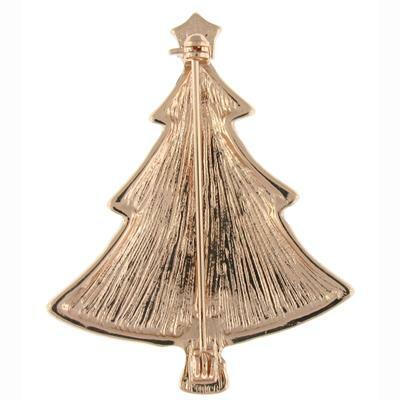 Perfect brooch to wear during the holiday season.